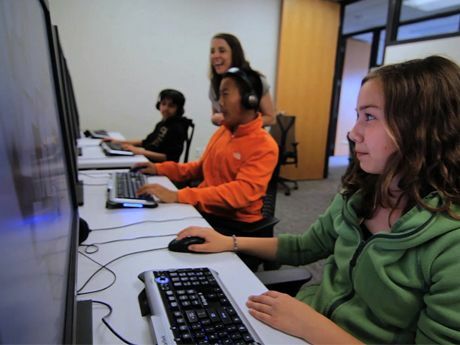 A quick look at game modalities can help you approach game-based learning via single- or multiplayer, one-time or persistent, game or simulation . . .
You want students to learn. Shall we play a game? Not exactly. Gamification is "applying typical elements of game playing (e.g., point scoring, competition with others, rules of play) to other areas of activity." Great classrooms often use both. Every day in my classroom, I'm using the essentials: gamification elements, reward systems, and game-based learning. I've already covered 5 Ways to Design Effective Rewards for Game-Based Learning. Let's learn how to pick the games. As you choose games, you'll want to mix up the games you use. These tools will help you analyze which works for you. A simulation might have students dissect a body online, while a computer game that teaches the same thing would be Whack a Bone. Both can teach the bones and parts of the body. Dissection is more realistic than the game to "whack" the proper bone. A single-player game, PeaceMaker, also simulates the Arab-Israeli conflict -- however, it's just the student against the computer. There are no unique elements determined by other players in the game, just the software. Single-player games can be easier to play and coach, but I've gravitated toward at least one multi-player simulation per school year per course. Multi-player simulation environments require higher-order thinking. Students are analyzing, creating, and having to deeply understand their topic. One of my favorite methods to amp up single-player games is creating teams. For example, using the typing speeds of my students, I create teams with the same average typing speed. These evenly-matched teams play their favorite typing game, Baron von Typefast. We add up all the scores, and the winning team receives a medal (as I play Olympic music). I've seen my eighth graders wear these all day long! Some formative assessment tools or games like Kahoot! require some preparation ahead of time. Socrative, another formative assessment tool with built-in games, has some "on-the-fly" tools that let teachers ask for answers without preparation. Teachers need data on gaps in knowledge. Many of today's educational "games" have no feedback for parents or teachers. Look for games with good teacher feedback systems. Games have always been in the classroom, but improvements in technology have launched us forward. Not all games are alike, so be smart -- but GAME ON!